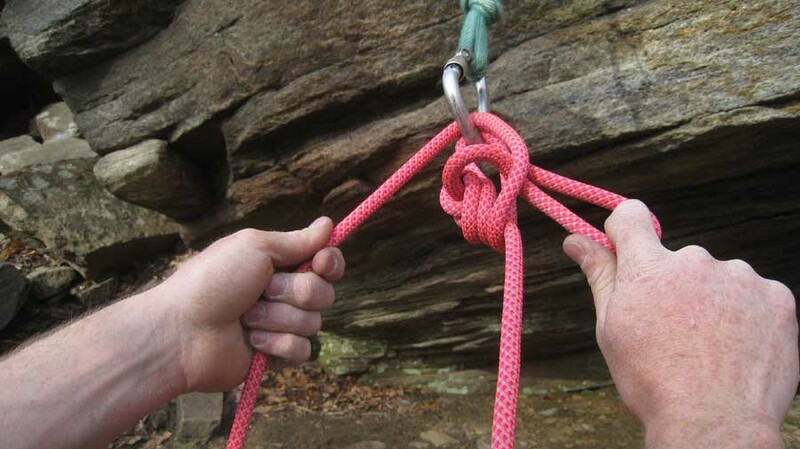 Here’s an easy way to lower an injured partner past a knot using a Munter Hitch. This situation might arise if you A) have to lower more than one rope length or B) have isolated a damaged section of rope with a knot. 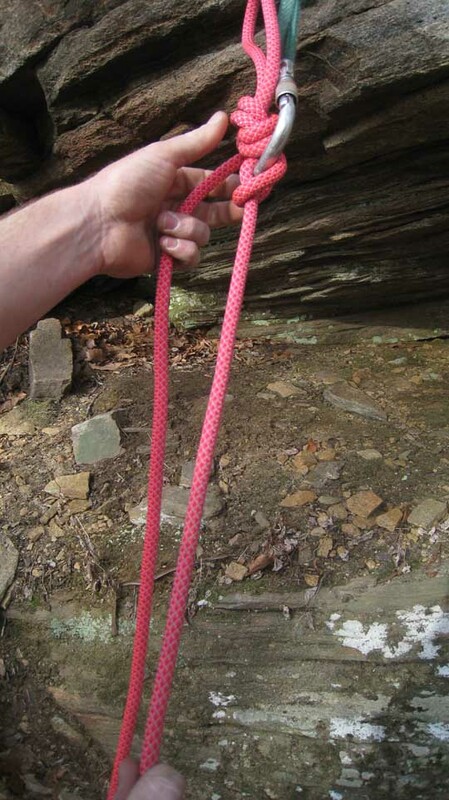 Remember to always backup all lowers using an autoblock or Prussik and “close” the system by tying the end of the second rope into yourself or the anchor. Caveats: You must use a large Munter/Pearabiner locking carabiner otherwise the knot will not pass through the carabiner (Petzl Williams are the best). Use a flat profile knot, preferably the Flat Overhand (aka EDK) with atleast 12″ of tail to join ropes or isolate the damage. Step one: Lower until the knot abuts the carabiner. My autoblock has been omitted for clarity. 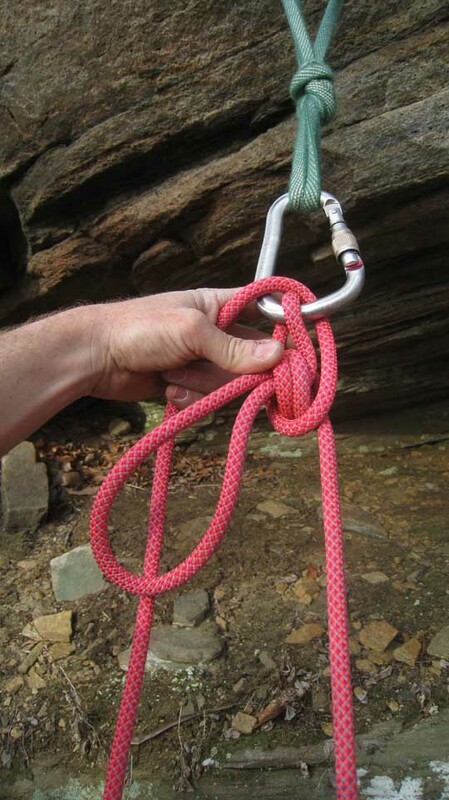 Step 2: Push the knot through the carabiner. Step 3: Continue to slowly lower and let the knot pass around the load strand and back up into the carabiner. Step 4: As the knot continues around the carabiner it will start to pull the “Smiley face” of the Munter hitch. Push the knot through the loop that formed. 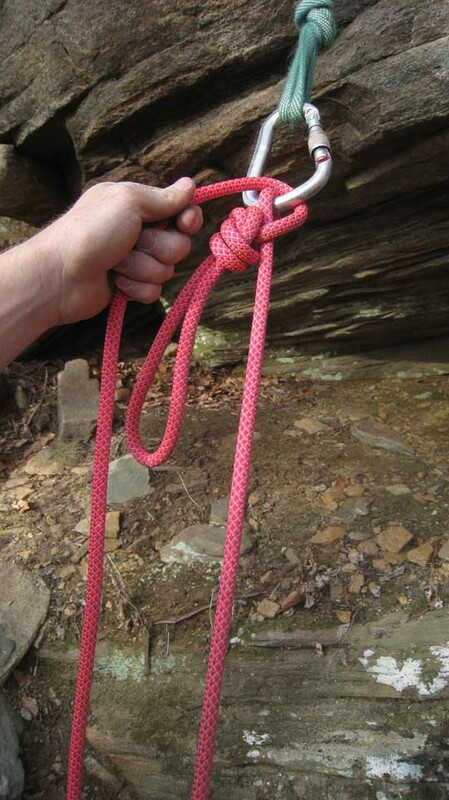 Keep this loop as small as possible to avoid shockloading the anchor. This step takes practice to avoid pulling the “Smiley Face” down too far. 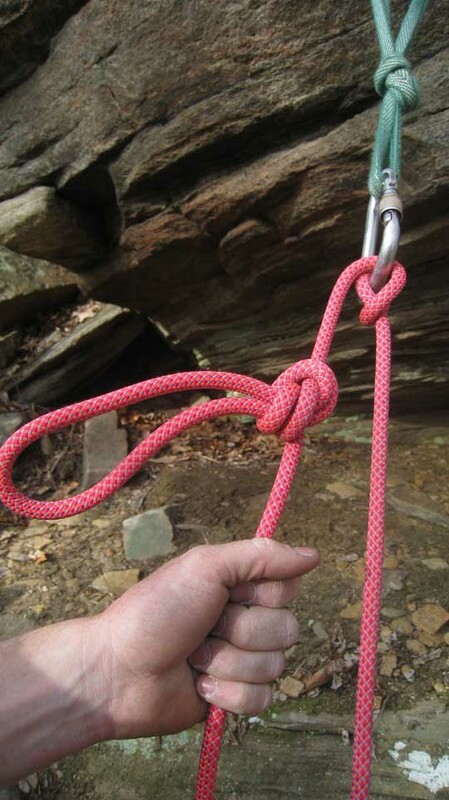 Practice this maneuver in low consequence situations before executing it in a real knot pass.